According to the latest statistics, 1 in 88 children are on the autistic spectrum, including 1 in 54 boys. It’s a disorder that’s still not entirely understood, and even within the community of parents of children with autism and educators who work with them, there are still disagreements about what therapies and treatments work best. It is very important for families dealing with autism to have an outlet, such as other parents who are going through the same thing. This site connects them to groups both online and in their area that can offer that type of support. AutismNOW should be the first place you look for the latest news, research and information on autism. MyAutismTeam is a social network for parents of kids with autism. Care.com is a great place to find a caregiver. This is a group for fathers of special-needs children, who can share their stories with others who understand the challenges they’re facing. This site allows people, including children, with autism to complete online activities geared toward helping them develop vital skills. Parents of special-needs children know how difficult it can be to plan a vacation. This site is dedicated to helping parents of children with autism map out their getaways, whether they’re cruises or camping trips. Atypical Child functions sort of like a Craigslist for parents of special needs children. You can list and buy gently used therapy equipment. Being a caregiver can be a rewarding, but also often a difficult and humbling task. This site shares products, strategies and tips for how to help your loved one and cope with the great demands that are put upon you each day. 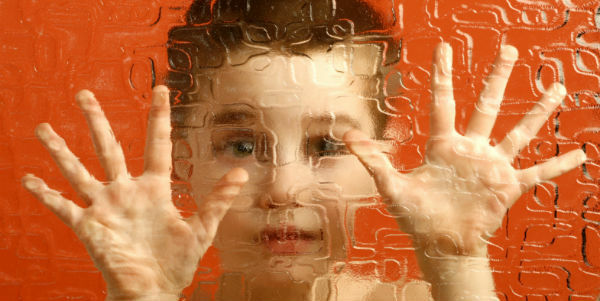 This site offers daily updates on autism news and research, including new therapies being used to address the disorder. This group is dedicated to fostering more understanding of autism spectrum disorders and encouraging families to reach out to others with ASD. Parents of both newly diagnosed children with autism and those who were diagnosed years ago can benefit from this site, sharing ideas for therapies, coping mechanisms and medical benefits through e-courses and newsletters. This site offers a comprehensive list of blogs that are written by and for families dealing with autism. It’s easy to get lost in reading their stories when you’re supposed to be working, so be careful! AiA specializes in offering how-to teaching programs that can help your child with virtually any task, from basic self-care to better communication. This is a terrific resource that lists upcoming autism-related events in your local community. You can even add your own event to the calendar. Adrienne is the proud mother of two girls, one of whom is autistic. She wrote this post to try and help other parents find the same relief she has found from a variety of online resources. She enjoys her life as a freelance writer and blogger, which gives her the time and flexibility to be a stay at home parent who can always whip up something for her daughters in her Xtrema cookware.